Tammi Didlot, the current president of the American National Cattlewomen is coming to the end of her year’s tenure as the leader of the group. 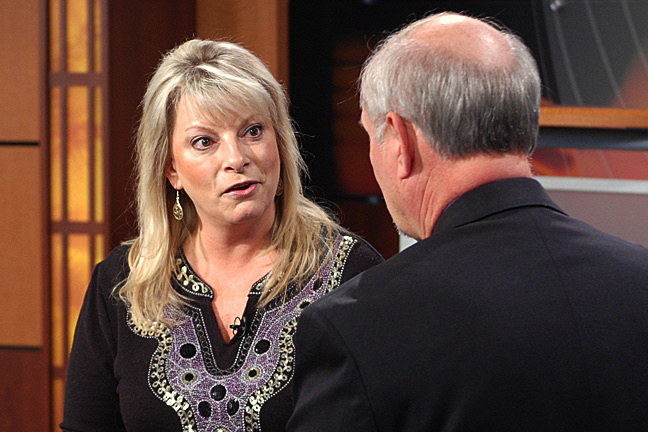 An Oklahoman, Didlot spoke with Ron Hays recently and will be his guest on “In the Field” Saturday morning on News 9 about 6:40 a.m.
She pointed to several highlights in her year as president. Didlot said she is especially proud of the Beef Cookoff program which is currently underway. The Beef Cookoff has evolved over the years and has been fine-tuned to effectively locate customers and show them to effectively used beef to enhance their lifestyles. “Initially, it was more of a cooking event and now it’s more of a consumer event and that’s why we’re doing more of a recipe focus, and it’s not really focused on those cooks. You actually submit the recipes and then we take them and showcase them at these large consumer events and we get so much more bang for our buck, which has to go further now, and it’s actually reaching that we might not have ever have had the opportunity to reach before. And I think that’s where it unfolds and gets a much better overview of how you can make the most use of My Plate. And that’s what we’re really kind of focusing on this year. Tammi Didlot speaks with Ron Hays about her tenure as the president of the ANC.